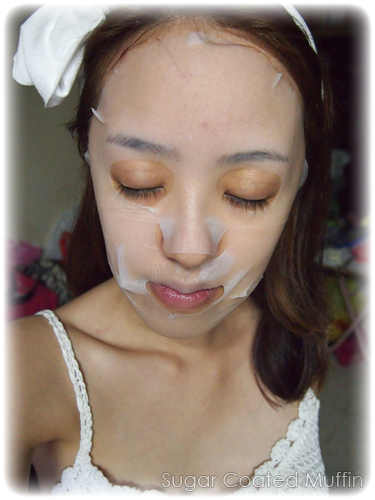 All the late nights during Chinese New Year is not doing my skin any good so time to give it some rejuvenation! Photo from internet since I threw it away without taking pics! 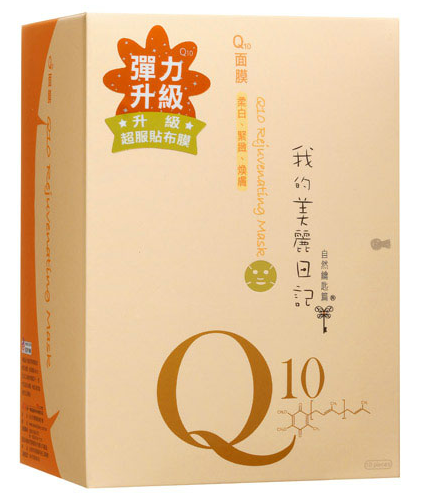 My Beauty Diary Q10 Rejuvenating Mask whitens, tightens and revitalizes skin. It is ideal for all skin types, especially loose and aged skin. Whiten and tighten skin: Q10 blended with vitamin BT complex Lecithin is an excellent antioxidant which minimizes the damage caused by free radicals for tight, elastic and youthful skin. Natural botanical ingredients hydrate and soothe skin, leaving skin watery and translucent. Soothe and nourish skin: Nanospheres and hyaluronic acid keeps hydrating skin and restores elasticity. Amazing Nanospheres Technology: Structured with plenty of tiny holes, it enhances absorption of nourishment, leaving skin moisturized. The moment I tore open the packet, the smell of sweet honey+floral gushed out. Wooww... Love the scent! Mask was very moist and as always is hydrating. Still loving the new sheet mask that's so thin and comfortable. It adheres well and I have no problems with the shape except there's not much space for my upper lip. 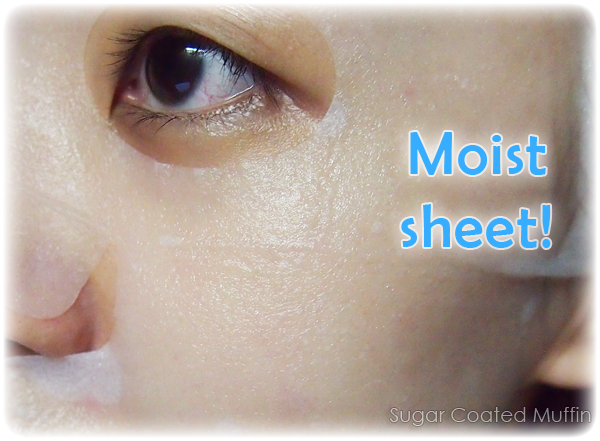 After 20 minutes, I peel the mask off to reveal moistful looking skin. There's still a lot of essence left so I just massage it for a bit until it's fully absorbed. My conclusion : Love the smell and I feel that it's really hydrating! Worth purchasing if your skin concern is dehydration.